How do we find and maintain balance? Part of us is logical when we long to return to our intuitive selves, our inner wisdom. Part of us is busy “doing” when we want to be fully present in the moment. 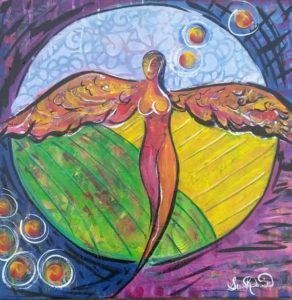 I hold sacred space at the captivating Moonstone Manor for women to explore their creative, powerful, loving selves. Nourish the part of you that longs for balance. Reveal your intentional focus and discover ways to manifest what you truly desire. You have everything you need. Let’s use art, meditation, movement, a sound bath, and intuitive experiences to tap into your Inner Wise Woman. With balance comes power. And with power comes limitless opportunities!! $95 cost includes supplies, lunch, and beverages. Click on Brown Paper Tickets to register.